And we were outraged by drawing away with them last October. Well, it's just started. I tuned in just as what seemed to be a minute's applause was finishing, anyone know what that was for? 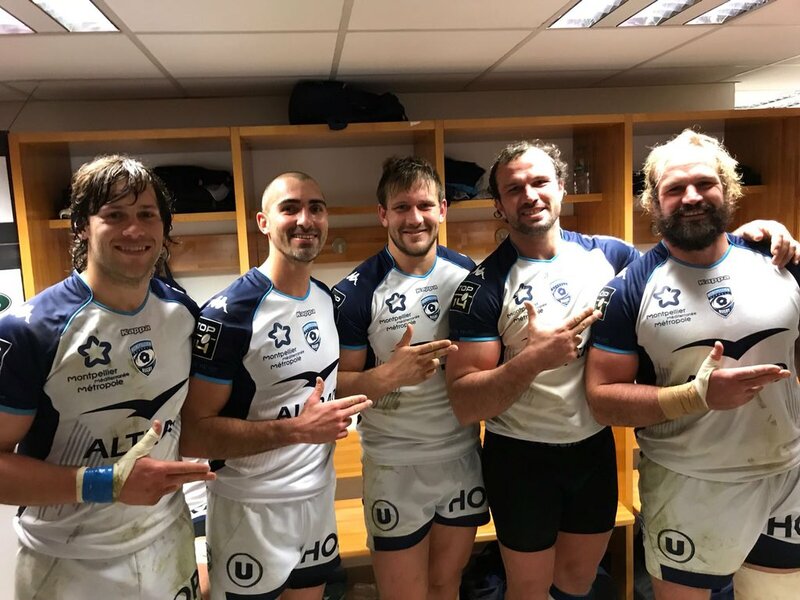 There was a moment silence, then a round of applause for the Castres supporters who died in a car accident last weekend. They were returning from the Semi Final. Delighted for Castres, great to see underdogs beat the flash money boys. Montpellier where so dominant right up to the final.. then them nerves set in. Rugby is great old game all the same. Calling Montpellier "the south or France" is like calling Limerick "the west of Ireland". You might win your point by pointing at a map but it doesn't stand up to much scrutiny. Also not all people adjust well to being in a foreign culture with foreign language, especially when raising a young family. So Frans Steyn gonna be the Ulster 10? twas an attempt at humour at the expense of our Ulster brethren. Without getting too pedantic, like @ Toulon (another industrial town) most of the international players live outside of the town around the many seaside resorts or up the cooler hills (there are some incredible residences up around Lamalou les Bains for instance. Last edited by Murillo; 4th-June-2018, 10:27. Contracted till 2020 at Montpellier. Paddy Jackson has confirmed he is in talks with a number of clubs about a possible move away from Perpignan if, as expected, the Catalan club is relegated from the Top 14 at the end of the season. Jackson confirmed that he has a release clause in his two-year contract with Perpignan which allows him to leave if they go down to Pro D2. Lyon were the first club to emerge as his possible next destination, while it is believed that Declan Kidney's London Irish might be keen. Kidney gave Jackson his Irish senior debut when he drafted him in to play Scotland in the 2013 Six Nations. "There have been a few clubs which have spoken to me. That is really the stage it is at, at the minute," said Jackson, whose side fell to their latest defeat when they were beaten by Connacht in the European Challenge Cup at the weekend. "If they go down, yes, but that is just a decision I am going to have to make between myself and the coaches here," added Jackson, when asked if he had a release clause. "It is something I am just looking at. But the main focus is trying to play well." Jackson, who will be 27 next month, was seen as the star signing as Perpignan tried to scramble a team together last summer after promotion. He made a bright start to life in France and while his form has dipped of late, Perpignan's difficulties run much deeper, with a pack that lacks punch and accuracy and a backline that constantly breaks down. It has been a wretched season, with 11 straight defeats in the Top 14 and three more in Europe. Some Perpignan fans have reacted badly to news that Jackson may depart if they are relegated, and it was noticeable on Friday night at Stade Aime Giral that a section of supporters jeered when the Irishman was replaced in the second-half. "No-one wants to lose," said Jackson after the latest defeat. "We are all going out there trying to win but it just hasn't been the season for us so far. "It is tough but it's a very close group of guys. Everyone comes into training, we get the video done, which is the tough part because a lot of games have been close this season." Friday's match against Connacht, where Perpignan raced into an 8-0 lead after 12 minutes but lost 38-21, was Jackson's first against Irish opposition since moving to France. He had played at underage level for Ireland with a number of the Connacht players and said it was good to meet up with them again. He added: "It was good seeing familiar faces again, guys I haven't seen in a while. I really enjoyed the first half, I felt like I was playing well. "Obviously, the kicking didn't go well and there was a couple of individual mistakes, but there were aspects of the game where we controlled the game very well, myself and Tom (Ecochard) at nine and ten. "I know we will focus on the result which isn't great and another loss which isn't ideal, but there are things there where we started to play a bit better." I didn't see it, but it must have been some game in Toulouse today. Clermont led 44-33 after 68.